- and recently, social unrest and its new architectural projects revel in this dynamism. Mark takes a look at new cultural, commercial, retail and housing projects, including Triptyque’s unconventional shopping complex and Vigliecca e Associados’ housing project that revitalises a slum in the ‘polyphonic’ city. 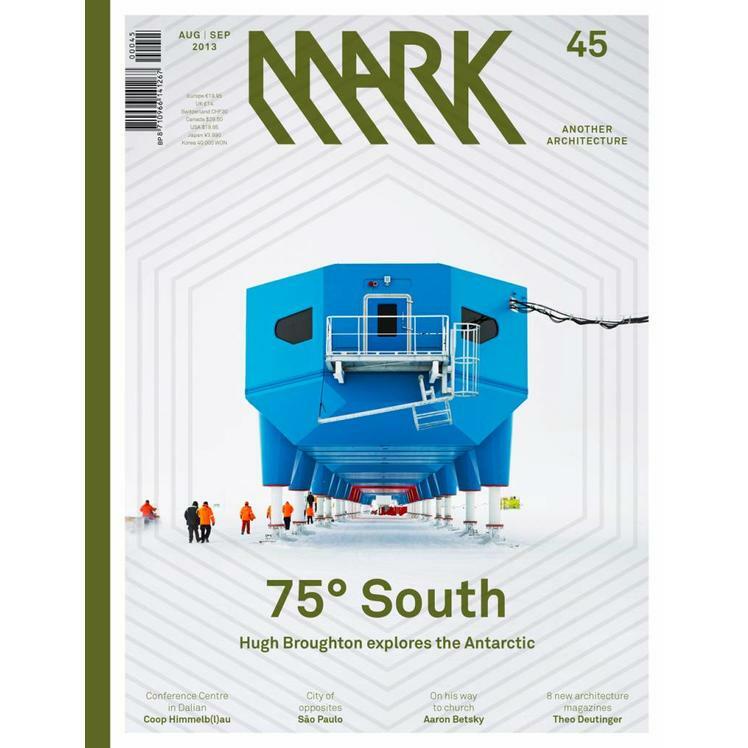 Then Issue #45 heads for Antarctica to explore Hugh Broughton's design for a research station, stops at a petrol station in Batumi by Giorgi Khmaladze, and moves on to Dalian, China, to visit Coop Himmelb(l)au's new Conference Centre before revisiting The Nakagin Capsule Tower in Tokyo. Brasil Arquitetura: Praça das Artes houses a plethora of schools and institutions for music and dance. Vigliecca e Associados: A large housing project by Vigliecca e Associados exemplifies São Paulo’s new way of dealing with slums. Triptyque: Triptyque looks at the shiny side of shopping. Nitsche Arquitetos: Nitsche Arquitetos responds to restrictions imposed by site, building code and surroundings with a colourful office block of staggered volumes. Coop Himmelb(l)au in Dalian: The Dalian Conference Center is a prime example of thoroughness and precision work. Giorgi Khmaladze in Batumi: Giorgi Khmaladze’s petrol station doubles as a fast-food restaurant. 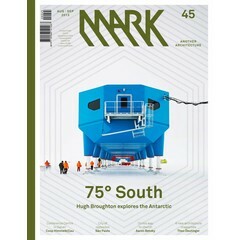 TD Architects in Flachau: TD Architects criticizes architecture criticism by proposing seven new magazines. Kisho Kurokawa in Tokyo: The Nakagin Capsule Tower was top of the bill after its completion in 1972, but it now suffers from indecisiveness and neglect. 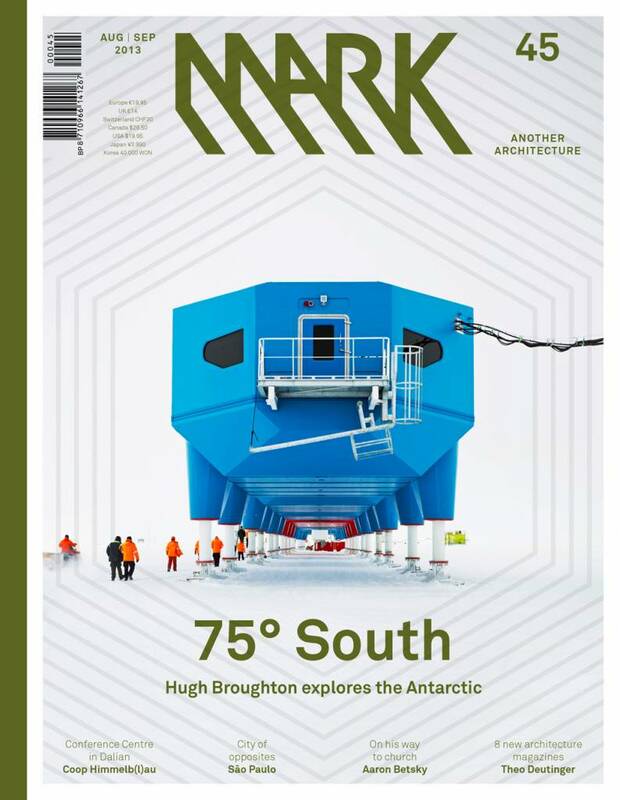 Hugh Broughton Architects in Antarctica: Hugh Broughton designs for life at the end of the world. Gabu Heindl and Drehli Robnik in Vienna: Gabu Heindl and Drehli Robnik collect film clips that feature architectural models. Field Office in Luodong: Rather than an iconic design that signifies high culture, the Luodong Cultural Workshop is an open space that is part of civic life. Plasma Studio in Sesto: Ulla Hell’s apartment tops an existing building, forming a natural symbiotic relationship. Espen Dietrichson in Oslo: Norwegian artist Espen Dietrichson levitates architecture. Aedas in Singapore: The Star by Andrew Bromberg of Aedas accommodates everything from rock’n’roll and Broadway shows to church services. Philipp Oswalt in Berlin: Philipp Oswalt urges architects to consider knowledge derived from other disciplines.